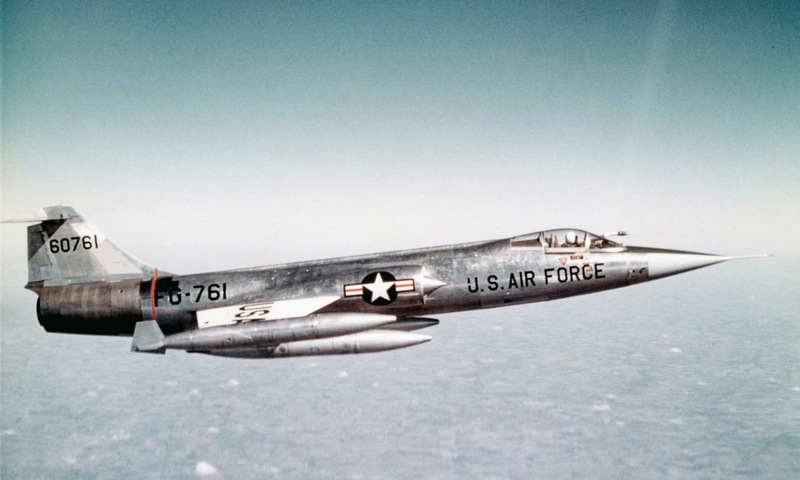 The plane of the day is The Lockheed F-104 Starfighter, which is a single-engine, supersonic interceptor aircraft originally developed by Lockheed for the United States Air Force (USAF). One of the Century Series of aircraft, it was operated by the air forces of more than a dozen nations from 1958 to 2004. A total of 2,578 Starfighters were produced, but 30% of them lost, the poor safety record of the Starfighter brought the aircraft into the public eye, especially in German Air Force service, so it is not used any more. A set of modifications produced the F-104G model, which won a NATO competition for a new fighter-bomber. On the side of wings, it carries the fuel tank, and can also carry the missiles.